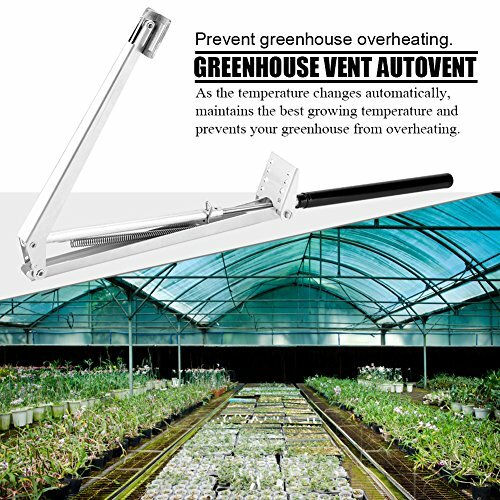 Do not use this opener anywhere the temperature will exceed 50° (122F) Please ensure your greenhouse window can be opened freely by at least 45cm (18") Do not apply excessive loads by locking or covering window Do not dismantle the cylinder The opener CANNOT stop by manual Monitors are not calibrated same, item color displayed in photos may be showing slightly different from the real object. Please take the real one as standard. If you have any questions about this product by Acogedor, contact us by completing and submitting the form below. If you are looking for a specif part number, please include it with your message.